On March 17, 2016, a Sweetheart and Hero went to heaven. William “Billy” Wardell, was tragically killed in an ATV accident at the tender age of 12. Billy’s mother, Carol lost a piece of her heart that day and struggled to find a reason to continue. Call it fate, divine intervention, a little help from her “angel”, or just plain coincidence, Carol found Sweethearts and Heroes. www.sweetheartsandheroes.org. The bond was instant and we all knew that this would be the beginning of an amazing friendship. This would prove to be the first flap of the butterfly’s wings as related to the “Butterfly Effect”. The Butterfly Effect is the concept that small causes can have large effects. Initially, it was used with weather prediction, but later the term became a metaphor used in and out of science. Starting with a presentation in Billy’s honor within the school district Billy attended, Billy’s legacy began to shine within the Sweethearts and Heroes message. It was quite clear from the first meeting with Carol, that Billy was the definition of a Sweetheart and Hero. A “Sweetheart” is a carrier of H.O.P.E. and a “Hero” is someone willing to do things others won’t do to jump into action and help someone in need. As Carol attended more presentations and events, the momentum began to grow, with Carol now regularly presenting as part of Sweethearts and Heroes Team. Carol always knew her son Billy was a special, kind, caring, beautiful soul, but the lesson that Carol learned from the events surrounding her son’s death, was that people forgot to take the time to share how special, kind or caring Billy was, until it was too late. Carol found that many people found Billy to be as special as Carol knew he was. Over and over, from teachers to classmates that Billy only knew for a short period of time, the comments were the same, “Billy was always so kind, always sticking up for someone, and a just a person that everyone liked to be around”. Yes, these were comforting things to hear, but what left Carol unsettled about these amazing comments and stories that were shared, was the fact that it was the first time these people thought of sharing such wonderful things about Billy. Now wrap your head around that concept. What is the reason that people don’t share positive stories, thoughts, gratitude? Are they too busy, do they feel awkward reaching out, are they programmed to think you only contact someone with a complaint or problem. I think it is all of the above. We need to reprogram ourselves to recognize the amazing qualities of people in the present. We need to take action and share these positive stories with others in order to create more positivity, compassion, kindness and caring in the world. Through connecting with Carol, Jason Spector, Sweethearts and Heroes, Co-Founder and Middle School Physical Education Teacher, very quickly realized that from a teaching perspective, the connection between teachers and parents is usually centered upon the reporting of bad behaviors, putting out fires and/or responding to complaints. These types of communications shouldn’t be the type of bonding between teacher and parent, nor should it be the bond between classmates, neighbors, co-workers, or anyone. A simple realization, that has an even simpler resolution. We all need to find ways to make connections with each other that are positive. Through these small connections, we can begin to make improvements in kindness, compassion and empathy, which studies confirm, have decreased by at least 40% in the last 20 years. With very little time required, we all can begin to flap our butterfly wings to cause a hurricane! The birth of “Billy Mail”… What is “Billy Mail”? It couldn’t be any simpler! 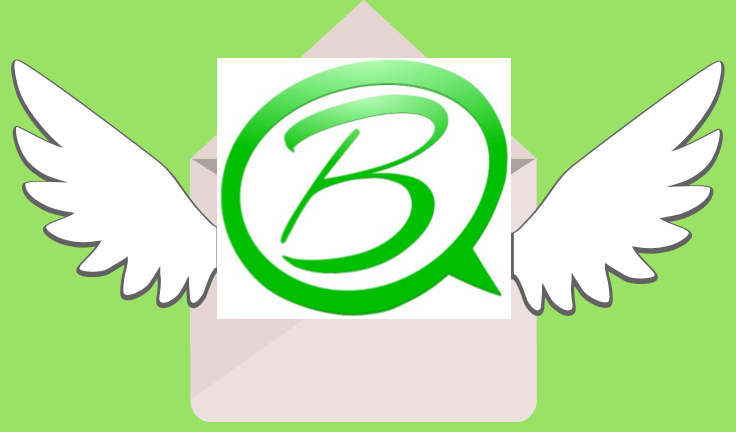 Billy mail is a short, simple email, letter, phone call or other communication with someone with the purpose of sharing something positive about that person or someone they are closely connected to. For example, as a teacher, Jason Spector sends out at least 5 positive emails (“Billy Mails”) a week to parents or guardians of his students. In starting this, he has found that most people are initially taken back by them. Although, as parents or guardians they know they have great kids, they are completely thrown off by receiving an email of that nature. The most common response: “Wow, I’m shocked, I never expected to get an email like this, but thank you, you totally made my day”. Think of that. Parents that have obviously put in great time and effort into creating good people, respond in that manner to a positive email. That shouldn’t be the case and Sweethearts and Heroes, Carol, Billy, and everyone that we can recruit in this movant, can change this! Jump into Action today and start getting that “Billy Mail” out! We guarantee the results will be nothing less than amazing. Live in the present, promote kindness, share positivity, and create a hurricane of compassion and empathy. "Aloha Tom- First I would like to thank you from the school for putting on such an amazing presentation. That was the most engaged I have ever seen our middle school boys. From a parent perspective it was refreshing to hear my 6th grade son and 6th grade niece talk about it on the ride home. I know that many of our students ( my kids included) do not always have positive male role models in their life. The looks on the kids’ faces at different times in your presentation was priceless. I know that you do not make your presentation about your past career, but for the boys or young men it is the hook for their attention. For them to meet you and hear you speak about taking action and being part of the solution, I believe will help them to act the next time they witness someone being bullied. I hope that you enjoy your time here in Hawai'i and wish you safe travels. E hui hou, ( until we meet again)"
Many of you have not seen our presentation, as our middle school presentation is 1 ¼ hours long, but below is a 20 minute version of our K-2 presentation. Just give the first 2-minutes a watch and let me know how far you make it! Please enjoy and remember, with your help we will change our hashtag from #ThisCouldChangeTheWorld to ThisWILLchangeThe World! Do things happen for a reason? I think so! In October Rick Yarosh and I were in Western NY presenting for an entire week. We had one day in the middle of the schedule open; don't I get a call from a guy I met at a conference 2-years before. "Hey Tom," he says. "I work for a private all ladies school in Buffalo, NY and one of the 10th graders would like to do a story on bullying and I thought of your presentation. Think you can find some time to talk with her on the phone?" "Better yet," I tell him, "I'll be there tomorrow as I am an hour from Buffalo!" 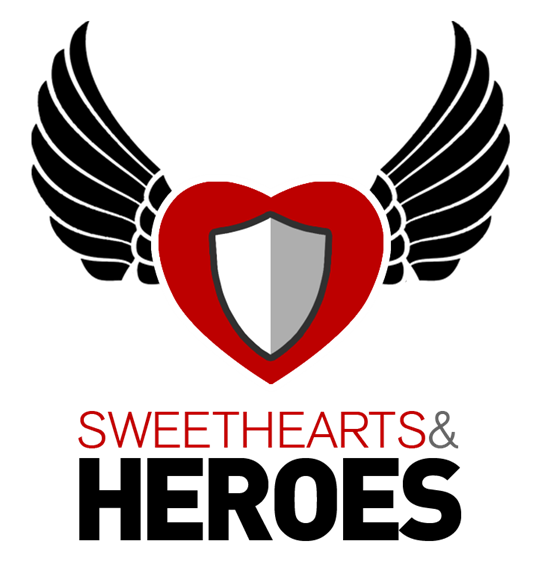 We have completed our 25-part series of short videos that contain tips and strategies to Sweethearts and Heroes. Rick Yarosh is a retired U.S. Army sergeant who was injured in Iraq with burns over most of his body. Often, he joins Tom at schools and gives students a powerful message about overcoming adversity, and turning a negative situation into a positive one. As you’ll hear from our other co-founder, Jason Spector, in the clips below, Rick’s story and message fits well into the Sweethearts and Heroes A-B-C action plan. The addition of Rick has “magnified our message” and taken Sweethearts and Heroes to “a higher level,” Jason says below. Until now, this 27-part series of short videos about Sweethearts and Heroes has focused on the school setting. In this segment below, our co-founders Tom Murphy and Jason Spector switch the focus to parents. “We hope that maybe this segment will help parents with some tips and strategies,” Jason says below, echoing the purpose behind this entire series. 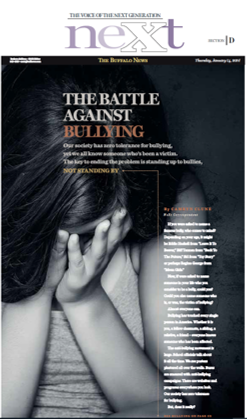 Careful not to threaten any parent’s child-rearing skills, Tom veers the conversation so that these parents understand this: the child who is “bullying” their child might be replicating behavior they see or hear at home. In fact, it might not be bullying at all. “There’s never a bully that was born,” Tom says below. Once again, this leads to one of the bricks in the foundation of Sweethearts and Heroes: perspective. Bullying can sometimes be a replication of behavior, but that does not mean it’s coming from a bully. What’s important, Tom says, is to teach kids how to keep their “mean switch” off, if they’re copying what they see at home.